HomeBaseball & Softball NewsUncategorizedPitching and Hitting, Using your Legs and Fig Newton’s 3 Laws of Physics! Pitching and Hitting, Using your Legs and Fig Newton’s 3 Laws of Physics! 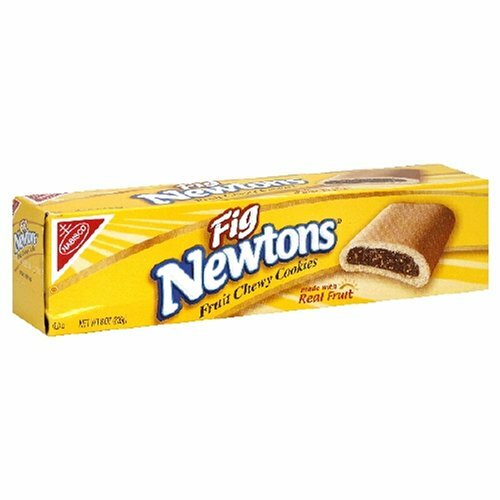 Sir Fig Newton definitely bakes some mighty tasty cookies! Over the years coaches and trainers all agreed that using the legs is one of the keys to success for hitters and pitchers…..but what does “Use your legs” mean and How do you use them? Let’s understand that “Using the legs” is better described as “Creating Ground Force or engaging the Lower Half” because the “Lower Half” also includes the hips not just the legs. These are terms that better suits what we are discussing. Let me start off by saying “Ground Force” is what separates the Elite athletes from the average. The more efficient GF that an athlete can create the faster they move. And what I mean by efficient GF is the ability for the athlete to transfer this force into usable force to their respective sport. Hitting and pitching in both BASEBALL & SOFTBALL the elite athlete creates a linear motion (Force) that transfers into a rotational reaction at foot strike. Newton’s First Law of Motion partially states that an object will remain in motion until acted upon by another force. Well we all know what GRAVITY is (especially us older people…LOL) and what it does to objects. But the force I’m talking about is the front leg landing when hitting and pitching. The front leg landing is the most important force that “Transfers” the linear energy from the stride or linear phase (Linear energy = Gravitational energy + Leg Drive energy) into rotational energy”. At foot strike….. the SEPARATION of the UPPER and LOWER body maximizes with a firm front leg landing. Studies show that higher velocity pitchers have greater separation angles than lower velocity pitchers. This is why coaches say you need strong legs or a strong lower half! Now understand this……when we try to jump high (Vertical Jump) we don’t keep our legs straight…..we bend them to load so we can jump higher! This allows us to create more FORCE to ACCELERATE our MASS. Again look at the picture above and notice what the back keg is doing………LOADING! All these Elite pitchers pitched with Elite velocity and relatively healthy long careers. More and more studies are showing this info is instrumental to arm health and elevated velocity. Meaning they are using GROUND FORCE to ACCELERATE their MASS which makes them land harder. We have to understand that pitching like hitting is a chain reaction…..one motion leads to the next. But the biggest point I want to make in this section is that PITCHING & HITTING IS A TRANSFER OF ENERGY …..IF THE LOWER HALF DOES NOT PROVIDE SUFFICIENT ENERGY TO TRANSFER…….THE ARM HAS TO DO MORE WORK! This one is not hard to comprehend…… The study above states that the pitchers with the highest velocities “Drive Harder and Land Harder”. So creating more force of the drive leg will cause more force on the landing……That’s just plain common sense! Now lets go back to the understanding that PITCHING AND HITTING IS A CHAIN REACTION….ONE MOTION FUELS THE NEXT AND EACH MOTION BECOMES FASTER THAN THE LAST. So what this means is if the Hitter/Pitcher creates more energy from the back leg this will cause the front leg to land harder and with a good front leg bracing action this will cause the hips to rotate faster which causes more separation between the lower half and the upper torso which causes the upper torso to rotate faster…… eventually this will lead to more bat speed and more arm speed that directly relates to higher velocity!…..WHEW! “Thank you for your wonderful product, King of the Hill. It has turned out to be a very valuable tool for our pitchers throughout the entire Arizona Diamondback organization. As pitching coaches, we are always seeking to maximize a pitcher’s strengths and to make a pitcher’s delivery more consistent. The King of the Hill has allowed us to do both. The King of the Hill allows us to teach each pitcher how to properly and most effectively engage his lower half throughout his delivery so that he can maximize his strength, maximize his power, and do so consistently. The audio “DOUBLE-CLICK,” which the King of the Hill provides when the pitcher uses his lower half correctly, allows immediate positive feedback after each pitch. Because of the immediate feedback, a pitcher can make pitch-by-pitch adjustments, which will allow him to establish and maintain good physical habits, creating consistency within his own delivery. I would recommend this tool to anyone serious about teaching a pitcher how he can properly engage and maximize his lower half, which will lead to increased strength and stamina, even velocity. Why are all these MLB organizations and top college programs are buying into my 3 trainers? Because they are smart by knowing everything starts in the lower half and not everyone utilizes the energy that can be produced when done correctly to energize the whole chain reaction…..even the pros! Look Below! TRAIN YOUR SON OR DAUGHTER TO CREATE THIS LOWER HALF POWER! Go check out my website for more info and to see all my endorsements!